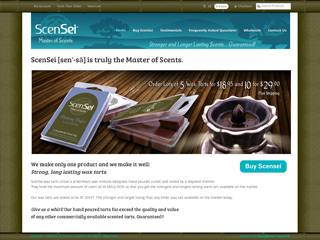 Website design using the wordpress CMS with shopping cart for Scensei in Blacksburg, VA. Includes responsive website design for mobile users. Click the web image or here to view their web site. >> Click a side arrow to continue tour or view some of our latest web sites below.